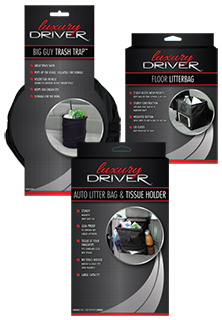 Auto litter bags are perfect for your organization needs. We have several sizes and types. From Pop up Lil Guy and Big Guy to back of the headrest hang-able litter bags with tissue holders. You will want to get these to help keep your car clean and organized for daily use. We have the lowest prices in the nation. GUARANTEED!